My specialty is Online Research, and after doing this for many years I am efficient with my time and effective with my research skills; this means I can keep costs to a minimum and not have to charge for too much travel. However, not everything is accessible online, and therefore other records that are vital to a project are sourced through the many networks I have built throughout Australia, the UK and Europe. Added to this, I also visit the QLD State Archives, and/or the QLD State Library when needed to access other more obscure Queensland and Australian records that are required for a Genealogical Research Project. The project costs below are for a full completed project; I am happy to offer various payment options, either weekly, fortnightly or monthly, and you can do this by direct deposit or Paypal. I begin a project on receipt of the first payment, and the full amount must be paid at least 2 months prior to the end of research. IMPORTANT: Please understand that you are paying me for my time & costs and my expertise in genealogical research, NOT for positive results. I give no guarantees that my research will provide you with the results that you desire. ***See CANCELLATION POLICY at bottom of page. The genealogical research of one parental line, i.e. one of your four grandparents’ lines. $2,500 – Approx 4 months to completion. The genealogical research of either your Paternal or Maternal Grandparents. $4,500 – Approx 6 months to completion. The genealogical research of both your Paternal and Maternal lines – therefore researching all four grandparents; giving your a completed family tree. $8,000 – Approx 6-9 months to completion. 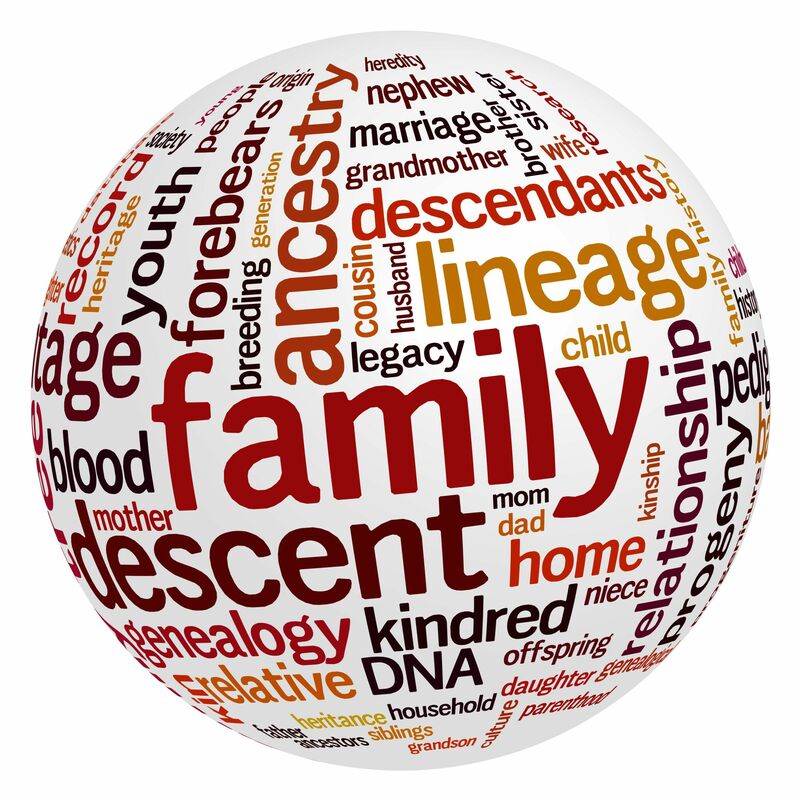 The full genealogical research of both yours and your spouse’s paternal and maternal sides. This can also be done for friends/colleagues etc. $14,000 – Approx 12-15 months to completion. Such as trying to find one family tree member’s movements in a timeline, or assistance to add to or further your own genealogy research. This type of research is tailored to your specific needs. $50 per hour – no minimum hours. One Gedcom file containing all data about your family tree; names, dates, places, notes, sources, etc. This Gedcom file can then be uploaded to your own Genealogical Software Program, or uploaded to Ancestry.com or similar sites. Once you have this you can add your own future research findings, you can upload photos, share it with family, etc. Extra Project folders and charts for siblings or other kin – we are happy to produce extra folders for siblings/relatives, to reproduce an extra folder will cost $120. Extra copies of Ancestor or Descendant wall charts cost $80 each. Research into European ancestors; whether German, Swiss Italian, etc. The cost for research in Europe is often very costly. I have colleagues in Germany, Italy, Denmark and Switzerland and therefore can facilitate research into these and other European countries. Researching a European line will usually be at an extra cost of approximately $1,000-1,250 AUD. ***CANCELLATION: Once a Research Project has begun you are liable for the full amount of the Project costs. If you choose to cancel the Project you will be required to pay any outstanding fees remaining and will then receive all research material done to date. **CANCELLATION PRIOR TO STARTING – Once a deposit is made for a Project that deposit will be forfeited if cancelled prior to the agreed start date – this covers materials already ordered as well as loss of income. Please understand that we regularly turn down projects because of a full calendar, and so when a client cancels a project it means we lose the income from that project. Bygone Days Genealogy will not be responsible for a client changing their mind. AUSTRALIAN CONSUMER LAW STATES: If you have paid a deposit and cancel without good reason (for example, if you change your mind), you will lose that deposit to the business. A fair deposit is usually considered to be 10% of the total cost of the service provided unless other factors, such as the potential loss or inconvenience to that business, justify a higher sum. BYGONE DAYS GENEALOGY reserves the right to make changes to these terms and conditions at any time.